About Colony Stone and Stucco, Plaster, Company in Central Florida. 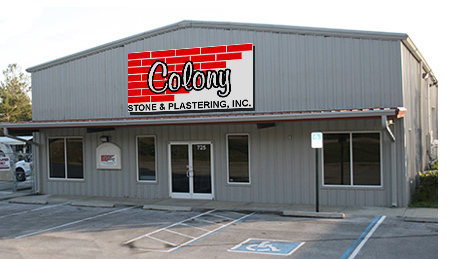 Colony Stone & Stucco began doing business in Citrus County and Central Florida in 1948. Ernie Seijas, Sr., started the family business and his sons David and Ernie Jr. have carried on the tradition of fine craftsmanship, working for most of Central Florida’s finest home builders throughout the years. Colony Stone & Stucco has a great reputation that comes from years of experience doing a professional job and treating their customers with courtesy and respect.